So it might be time to start writing for fun again. That sounds a bit odd, especially as my role involves editing six magazines and as many websites. But that has been part of the problem. Spending so much time and expending so many of the little grey cells on my day job has meant I haven’t always felt the need, the compulsion, the inspiration or indeed the desperation to write any more in my free time. I’ve filled my time with other things, some of it on two wheels and a lot of it with the ever-creative Mrs Groves. But my typing fingers – mainly the index fingers on both hands – have started to itch lately. I feel the need to tap, tap, tap, tap, type, type again. I don’t know what I’ll be writing – there’s no Apprentice on at the moment thank goodness. But I have been drawing inspiration from various sources, so watch this space. 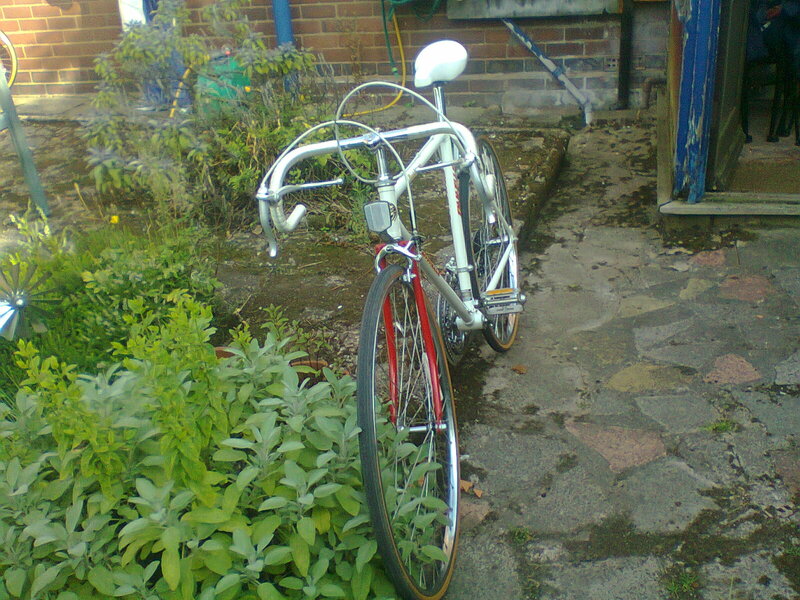 Oh and I have a new (old) bike, which I love – especially as it only cost £50 from Ebay. Posted by Paul Groves on May 29, 2014 in Life, Media, News, Opinion, People, Sport, Thoughts. Paul – resurrected to his former glory. YES! Only the other day I thought it’ll probably take another ‘Apprentice’ to revive your sleeping beauty of a blog. Mind you – in the meantime I entertained myself with ‘Masterchef’. Leaving the food and actual cooking aside that programme causes me endless hilarity. Unless one of the contestants cries. My, my, do they cry. At least they have stopped the camera zooming in on every grazed and sliced finger. Which reminds me: There should be an ‘apprentice’ for people over a certain age. Closer to Sugar’s. Not all that relatively fresh meat, but hung. Would I dare? Yes, providing you’ll be on the same series holding my hand. Which makes it difficult to slice an onion. But at least I wouldn’t have reason to cry. Great to have you back. Greetings to Ms Creative. Thanks, but reserve judgement about former glories until I actually start writing properly again. Good to see you are still out there in the ether. I’m not exactly a fan of Masterchef, although I do watch. I’m waiting for one of them to turn their tears into an air, or a foam, or maybe even snow to accompany their dish. I’m not sure you can smear tears. Anyway, I better start thinking about stuff to write about.